It’s not Dwayne Johnson or Arnold. It’s not Rob Gronkowski. 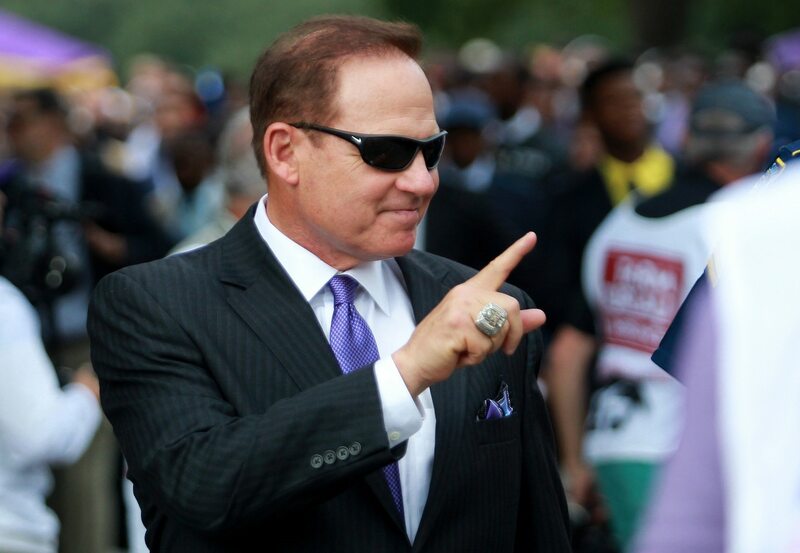 Instead, former LSU head football coach Les Miles is set to star in a soon-to-be released motion picture focusing on the 1986 Challenger explosion that cost the lives of five NASA specialists and two others. Miles stars with Dean Cain and has a featured role in the film. In fact, Miles is listed right there among the biggest stars for what promises to be a B-movie. This has to be the oddest pairing since the Dragon and Donkey from Shrek. Even then, Miles seemed to have a ton of fun with it. Monday represented the 33-year anniversary of the tragedy America’s then-children watched in school as teacher Christa McAuliffe perished with six of her colleagues. Let’s hope Miles and Co. can do their sacrifice justice with a surprisingly good movie. The 65-year-old Miles served as LSU’s head coach from 2005-16 — leading the program to a national championship and seven 10-win seasons. He was just recently hired to be the new head football coach at Kansas.